This interactive presentation contains the latest oil & gas production data from 71,201 horizontal wells in 9 US states, through March. Cumulative oil and gas production from these wells reached 6.7 Gbo and 60.2 Tcf. Oil production has been moving upwards since the start of this year, and once revision data is in, I expect that we will see that it is close to the levels of one year ago of almost 4 million barrels per day. 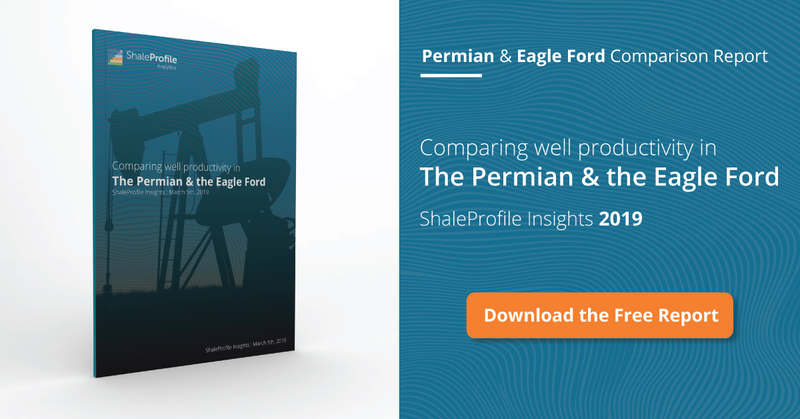 The three major shale oil basins, the Permian, the Bakken, and the Eagle Ford each contributed more than 1 million barrels of oil per day this year (counting only production from horizontal wells). Excluding West Virginia (where production data is only available through 2016), gas production has remained steady at a level of about 35 Bcf/day for more than a year, with more than half of that coming from the Appalachian basin. More than 80% of all current horizontal drilling in the US happens in these 9 states, while almost all of the remaining takes place in Oklahoma and Louisiana, which I currently do not cover. Average proppant volumes, which are used to break open the formation after the well is completed, increased by more than 50% in just the last 2 years, and are currently about triple the amount used in 2013. This has greatly accelerated, and somewhat increased, the recovery from these wells, which can be clearly seen in the “Well quality” tab. In that overview the average production profiles for all these wells are shown, by the year in which production started. The wells from before 2010 are located in the Bakken region. The final tab (“Top operators”) shows the output and location of the 5 largest operators. Of the 4 largest oil producers, only Anadarko did not grow production this year, as it sold a major holding in the Eagle Ford. In this “Ultimate recovery” overview we can see the relationship between production rates, and cumulative production, and it offers a way to roughly ultimate recovery ranges, without resorting to decline analysis methods. Both the acceleration of, and the increase in, average ultimate recovery are visible here. I have preselected the major oil basins. If you wish to see this for gas, you can switch the product (top-right), and use the Basin selection to select the shale gas regions. It will show even larger gains in productivity. The “Well status map” tab shows the status and location of all these wells. If you click on the “First flow” item in the legend, you can see in which areas new wells are brought online. If you’re interested in a certain operator, you can use the “Operator” selection to find any oil or gas operator (of horizontal wells) in these 9 states. This works in all overviews. Early next week I’ll have a new post on North Dakota again.